Not much room for accessory dwellings in this new North Albany neighborhood, at least not in the back yards. Albany Mayor Sharon Konopa has vetoed a council-passed ordinance on accessory dwellings, hoping the members will agree on changes that she and all the councilors can support. She submitted her two-page message — the first veto in her 10 years as mayor — on Friday. The council can override it, but it takes five votes to do so. Two of the six council members opposed the housing amendments to the city development code when the ordinance was acted on Wednesday, so any override without changes in the text is unlikely. The 2017 legislature required cities and counties above certain sizes to allow “at least one accessory dwelling unit for each detached single-family dwelling, subject to reasonable local regulations relating to siting and design.” The units can be inside homes, or attached to the outside, or detached. The bill, SB 1051, passed the Senate 29-0 and the House 59-0. The Albany code does not comply with SB 1051 because it bans detached accessory units in some areas where single-family houses are permitted. Hence the amendment passed Wednesday. But there also were other changes, and those are what concerned Konopa. In particular, the code amendment raises the allowed size of ADUs from 750 to 900 square feet. Konopa says this allows for two-bedroom units that could be occupied by four adults with four vehicles. “This can impact an existing single-family neighborhood’s livability,” she wrote. There’s no requirement in SB 1051 to increase the allowed size of accessory units or relax parking-space requirements. So why do so, her point seems to be. “I believe we should strive to lessen the impacts on existing neighborhoods,” she wrote. Kudos to the mayor. Don’t turn Albany into little Portlandia. By city ordinance (5741), the mayor has the absolute right to veto any proposed ordinance. City council then will have the opportunity to either uphold it or overturn it. Perfectly apropos – and council will have that opportunity. 2. I believe the number of folks who will actually apply to have an ADU will be very small. Not because some folks might not wish to actually have one, but rather the actual cost of building one. People would be building a small house – and that ain’t cheap by any stretch of the imagination… It’s not like you can go to IKEA or Home Depot and buy one as a “Do It Yourself” weekend project! 5. The parking issue… The street in front of your house is for *public* use. There is no way we can restrict that from being used by anyone living in an apartment, ADU, single family residence, etc. The AARP has advocated for ECHO ( Elderly Cottage Housing Opportunity) housing for years. ECHO housing AKA Granny Flats, Mother in Law house is pretty common in most parts of the world. The argument against them seems to stem from a fear of them being rented out at times to lower income people. Kind of sad. I hope the sense of freedom the Mayor now feels on this issue may expand to other concerns! Wishful thinking perhaps. 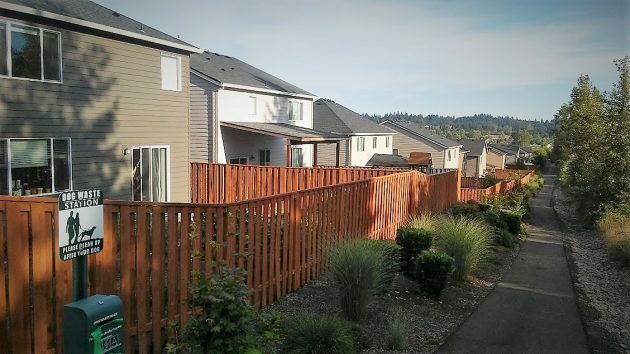 No room for those ADUs in zero lot line housing developments constructed by those tree cutting Hayden Homes & others. As she explained-away her veto, Madam Mayor looked similar to Donald Trump as he pretended to reverse himself from the day before when he gushed over Putin even as he trashed the very nation he’s sworn to defend. It didn’t work for Trump. Ditto for Madam Mayor.